Mansory has built its name by outfitting the worlds most exclusive vehicles with style enhancing components built from the finest materials. Mansory knows that owners of such exquisite automobiles have refined taste and expect nothing but the best in terms of quality, workmanship, and technological design. Each Mansory product is specifically tailored for the vehicle it was designed for, no generic or universal designs are used. Mansory prides its self on products that not only match, but exceed the quality of the vehicles they are designed for. Mansory is constantly working to produce new and innovative tuning programs for the automotive industry's newest offerings. 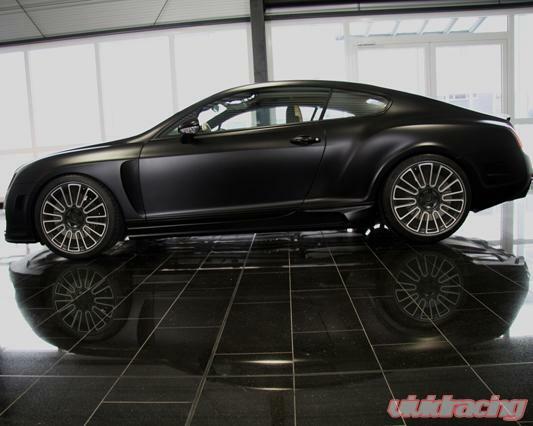 The Mansory Wide fender set for the Continental GT Speed give the Bentley a more aggressive stance and a more menacing profile. Constructed of composite for durability, these fenders utilize factory mounting points for quality fit and finish. These fenders also have vents to further customize the appearance of the Continental GT Speed. The set includes both left and right fenders built to fit the Continental GT Speed. 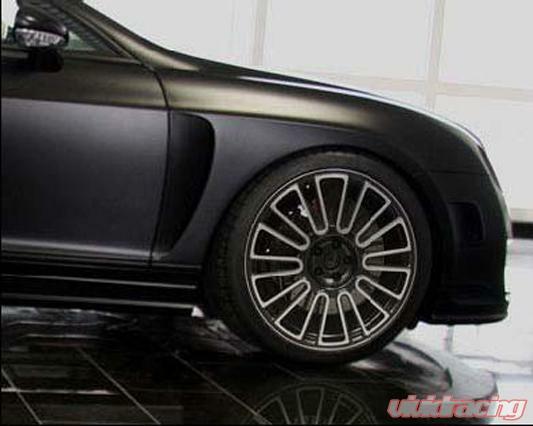 The wider fenders also may allow the fitment of wider wheels and tires.